Nestled at the corner of Meredith and Broadlawn Rd sits this classic 1930s Center Hall Colonial in lovely Wynnewood! This 2, 172 sq. Ft. 4 bed, 3.5 bath well-kept home features original details and old world charm. This property greets you with meticulously manicured landscaping, a beautiful stone front facade, and plenty of parking spaces in the large driveway. Throughout the home, you will find charming period details with hardwood floors throughout, 6 inch moldings and trim, two wood burning fireplaces, corner built-ins, and spacious sun-drenched rooms with large bright windows. The main level offers the living room, dining room, eat-in kitchen, powder room, and laundry room. Upstairs sits the Master Bedroom suite with plenty of closet space and an ensuite bath. On this floor, you also have a huge cedar closet, a shared full bathroom, and three additional bedrooms, with one bedroom featuring a full bathroom. Upstairs the finished attic offers another cedar closet and boasts an expansive space perfect for a study, a guest room, an office, the possibilities are endless. Downstairs a large finished basement is complete with a second laundry room. This level is highlighted with a stone front fireplace and bar providing an excellent space for a billiards room, family room, or game room! Step out on the peaceful screened in porch to enjoy spring and summer nights. The front, side, and back yards offer excellent space for playing, gardening, and creative landscaping. Also, the driveway is equipped with a basketball pole. Imagine yourself as the next caretaker of this warm and inviting home which has only had two owners since being built in 1936. 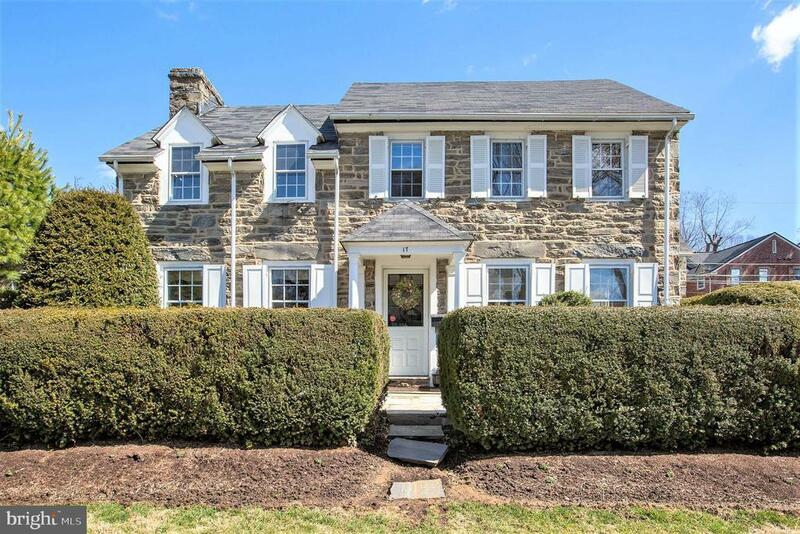 Enjoy this quiet and welcoming neighborhood in the Lower Merion school district convenient to the city and public transportation (bus and regional rail). You do not want to miss this charming home, schedule an appointment today!